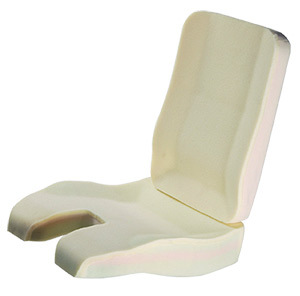 Van's RV-6 Un-upholstered Seat Cushion System. Price per Seat. Our Painless • Safer • Quieter® experimental/homebuilt seat cushions are sold as un-upholstered cushion cores. We offer custom upholstery and embroidery options for additional charge. We can upholster your seat cushions in Leather, Fabric, Leather and Fabric, Leather and Sheepskin, or Fabric and Sheepskin. If you would like for Oregon Aero to upholster your seat cushions or require customized work, please call us before ordering online. Free upholstery samples are available upon request. We offer complete custom interiors for Van's RV aircraft. Click Here to download our brochure. Call us at 800-888-6910 to talk to our experts about options available for your aircraft.